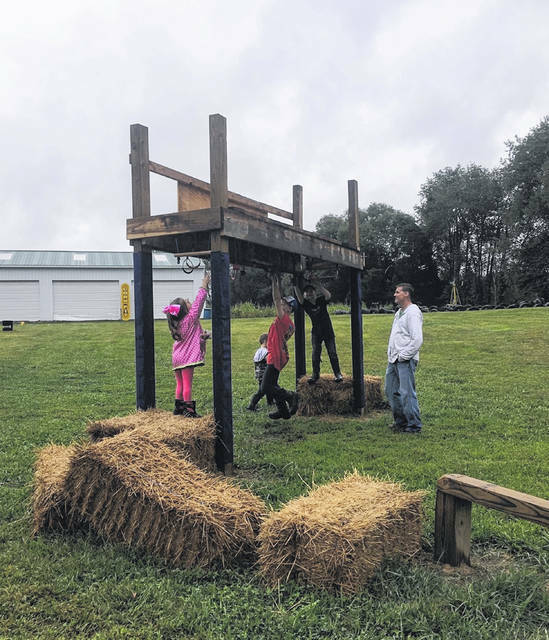 The inclement weather did not deter some of the kids and families with Type I Diabetes from having fun at the Noble Farms Saturday. Approximately 50 people showed up to participate in the event, held especially for those families who have someone in their family with Type I Diabetes. 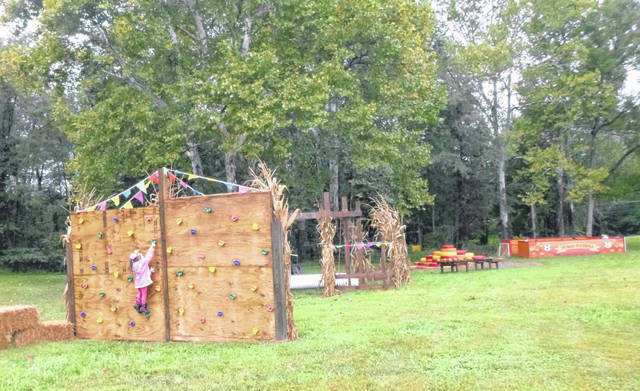 Noble Farms has so much to offer for the entire family, and even when it rains, there is still plenty to do. The kids at the event seemed to have no problem sloshing around in the rain and mud and having a good time. 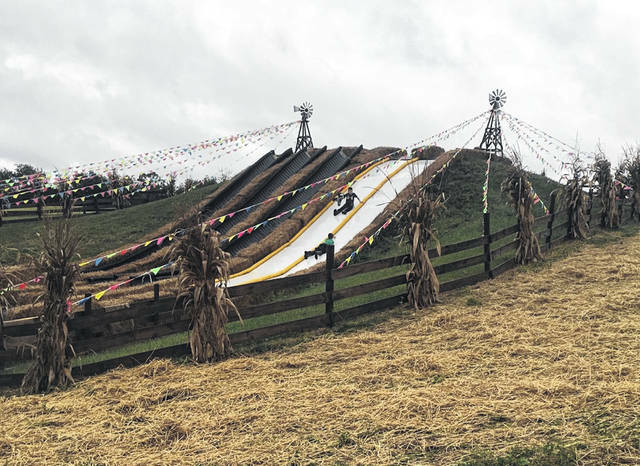 It was a disappointment for the Ohio River Valley T1D group who had great plans for the day, as they had originally planned for the biggest group they have had so far for this year’s event. Malissa Sarver, executive director for the Ohio River Valley T1D, said they had 140 registered. She said she didn’t blame them, some of them were coming from out-of-town and with the rain, it may not have been easy for them. ‘A Day on the Farm’ is a day where children with Type I Diabetes and their families can relax, have fun and know the people around them aren’t judging them. It’s a place where there are no worries about carb counts or having low blood sugar. Carbohydrate counts are provided for all food choices and a low station is there for those in need. 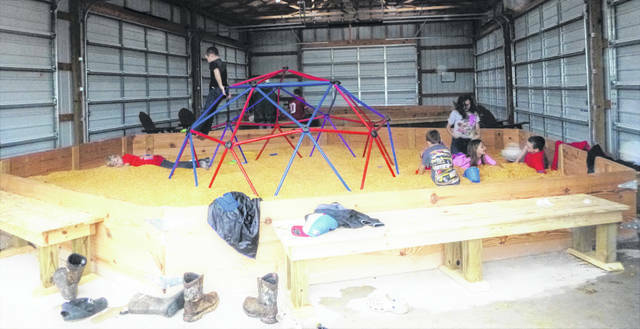 A Day on the Farm is a fun experience for parents and children alike. Sarver said they had about 100 attend the event last year which was almost double what they had had the year before that. They had a great supply of pizzas from Gatti’s, which donated a portion of the pizzas, and only about one-third of the planned on numbers attending. Also, Journey’s Auto Center, donated water for the day. Tracie Lewis, who is also with Ohio River Valley T1D, said the event was being sponsored by JDRF and KDMC (King’s Daughter’s Medical Center). JDRF originally stood for Juvenile Diabetes Research Foundation, but now they are just JDRF, due to the fact there are so many adults that have Type I Diabetes, they wanted people to know that Type I is no longer just a juvenile disease. To reinforce this, JDRF has on its website, that they too want to remove the misconception that T1D is only a childhood disease and to acknowledge that nearly 85 percent of people living with the disease are over age 18. Type 1 diabetes is an autoimmune disease that strikes both children and adults suddenly. It has nothing to do with diet or lifestyle. There is nothing to prevent it. And, at present, there is no cure. The ladies from Ohio River Valley T1D were also discussing that sometimes or quite often, people that have Type I Diabetes are more likely to get another autoimmune disease. Lewis’ daughter Abbey, has Type I and also Celiac, (another autoimmune disease). Abbey has had Diabetes since she was three and a half years old. Abbey is a member of the Ohio River Valley T1D group, but because she is older, she is also a volunteer. Sarver wanted to mention that the one fundraiser they do is, The Ribber Dinner, which will be held on November 28th with pick up site TBA. To order tickets or for more information, call Blevins Storage at 740-858-9753. Those with T1D means their pancreas stops producing insulin—a hormone the body needs to get energy from food. This means a process the body does naturally and automatically becomes something that now requires daily attention and manual intervention. Those with T1D must constantly monitor their blood-sugar level, inject or infuse insulin through a pump, and carefully balance these insulin doses with eating and activity throughout the day and night. However, insulin is not a cure for diabetes. Even with the most vigilant disease management, a significant portion a diabetic’s day will be spent with either high or low blood-sugar levels. These fluctuations place people with T1D at risk for potentially life-threatening hypoglycemic and hyperglycemic episodes as well as devastating long-term complications such as kidney failure, heart attack, stroke, blindness and amputation. The families that attended the Day on the Farm, just went right on doing what they were able to do and enjoying things like, riding the tractors on the track, playing in the corn pit, sliding and climbing. It was not the day that the Ohio River Valley T1D had planned, but it was a success as Sarver said, everyone there seemed to be enjoying themselves.